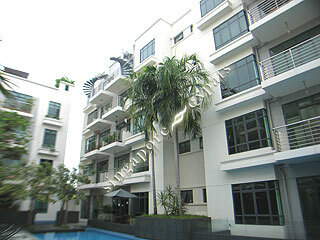 East Palm is a low density exclusive apartment located at Palm Road, off Upper East Coast Eoad. This freehold development has recreational facilities including a lap pool, Jacuzzi, children's pool, well-equipped gymnasium. Units in East Palm is modern and luxuriously finished. Floor to ceiling windows ensure that the apartment is well-lit and ventilated. There is also a small balcony outside the living area. East Palm is located near to Siglap vicinity where entertainment and amenities like shops, pubs, restaurants and cafes can be found. East Palm is accessible via the nearby East Coast Parkway (ECP), commuting to the city takes about 15 minutes, and it takes only 5 minutes drive to the Changi Airport.